The beauty of motherhood...right now. As a busy (and extremely tired) mom, I am guilty of counting down the hours in a day. I am guilty of thinking to myself, "what can I do today to kill time?" I am guilty of wishing a particular phase that one of the kids is going through will pass. That life will be better once he sleeps through the night. Once he's potty trained. Once he's talking. Once he's more independent. Once he's in school. It's only in hindsight that I can shake my head at myself for thinking these things, even though it still happens on a regular basis. I know how easy it is to get caught up in what's hard and what's not working. But what if we could just focus on what's right? What is good and true and perfect in our lives right now? I look back at pictures of my now three-year-old son when he was a baby, and it absolutely blows my mind that he was ever that young. While I remember our time together at home when he was itty bitty with fondness, my memories are also hazy. When raising a human you get so caught up with the minutiae of day to day living and sometimes, lets face it, survival, that there is no time to stop and take in the big picture. To appreciate. To imprint things to memory. To stand in awe of this thing we call motherhood. I started feeling the pull over the past six months to focus more on motherhood in my client work. To be a mirror to my fellow mothers who are also in this frantic state. To have them stop, look, and appreciate the beauty that is their life right now with a visual record. 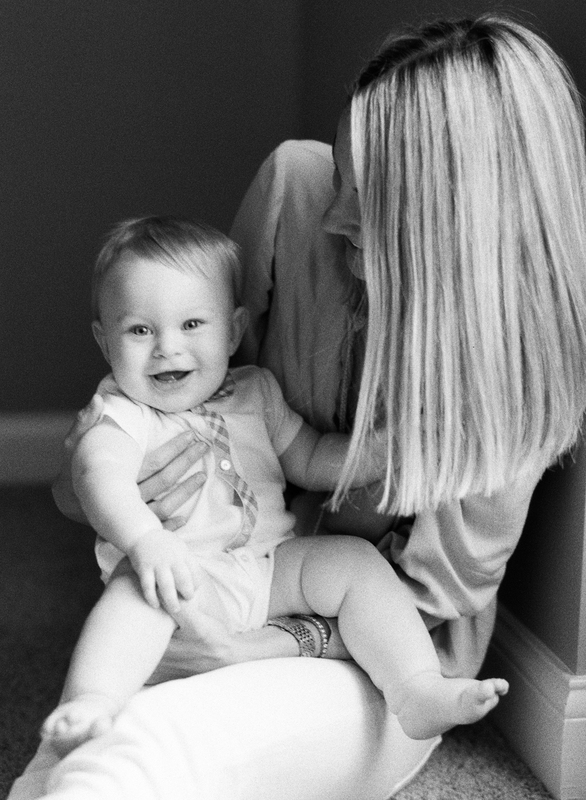 While I love to shoot families as a whole, there is something powerful about the relationship that children have with their mother. I'm still figuring out how the full extent of how these sessions will go and I intend to mold and shape them throughout 2017, but if you are interested in finding more about my Motherhood Sessions, please contact me. This was a short session I did for a friend, just her and her son at home. Nothing fancy, no crazy locations. Just them hanging out. This is what sparked the idea to start offering Motherhood Sessions. The whole time shooting I thought "I wish I had pictures like this." Shot on Portra 400, developed and scanned by Indie Film Lab.